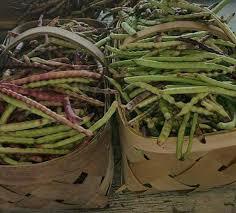 They were sitting on the front screened in porch, shelling peas. You could buy peas in a can, but the old woman said they were nasty. Besides, why buy something you could grow yourself? They had picked the peas early that morning, while the cool was still in the air. Now in the heat of the afternoon, with the ceiling fan blowing down a store-bought breeze, the old man, the old woman, the granddaughter, and the grandson were shelling peas. Like most old men, he paused before he answered. Thirty years ago, when the young boy would have been his own son, he would have snapped an answer: “Stop complaining, son, and get on with peas if you want any supper.” Decades had taught him a slow answer might be better. The six-year-old was still hot, but he marveled that his grandpa always seemed to think about more than the moment. He loved his grandfather’s soft, low voice. He loved the peace he felt when his grandfather helped him understand the world. “Don’t we have enough for supper yet?” said the grandson. “Well son, a mess is enough to shell in one sitting, if you’re talking about peas. If you’re talking about fish, a mess is enough to clean at one time and have a fish fry,” said the old man. The old woman laughed. “Your grandpa has never had to worry about catching too many fish! Many’s the time he promised me a mess of fish for supper and he came back just with the worms he took,” she said. “Lawd, child, I hope you never have to find out!” laughed the old woman. Big rain drops started to echo on the tin roof of the porch. “Mercy, that storm blew up in a hurry. Look here, we’ve finished shelling all these peas. Leave the hulls in that basket and let’s go inside and start getting ready for supper,” said the old woman. Thirty years later, the grandson and the granddaughter really couldn’t remember that particular day. What they could remember was the feeling: Their grandparents had lived enough life to see things different, to trust. They remembered feeling comforted by their grandparents gentle wisdom. Isn’t this why God allows us to grow old? He wants us to pass on the wisdom we’ve learned to those eager to learn it. Living a long time is not the goal; living a long time, growing wise, and sharing what you’ve learned – that’s what God wants you to do. Is there someone you need to sit on the front porch with and pass along a few things God has taught you? Is there someone you need to go sit with and learn a few things about life?